Companies develop strategic plans and establish business imperatives that define desired outcomes, e.g., to achieve superior financial results or to be the highest quality supplier in the world. Business goals and objectives are established in alignment with the imperatives. The primary goal is to create value for customers and shareholders. As an executive or manager, you are challenged with creating pathways that connect goals and objectives to your business operations in order to achieve the desired results. It’s not always easy. 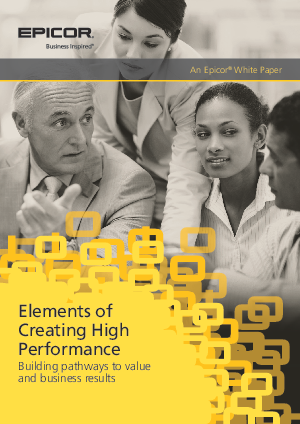 This white paper presents an approach for building pathways to value and business results which will position your company to focus on the right resources, in the right areas, at the right time.